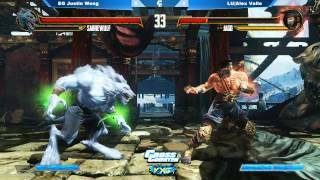 Justin Wong and Alex Valle were on Cross Counter LIVE to do battle in Killer Instinct for Xbox One. Peep the match-ups inside. Cross Counter TV hosted a stream earlier this week. The crew showcased Killer Instinct for Xbox One. A slew of matches between Justin Wong and Alex Valle were aired.